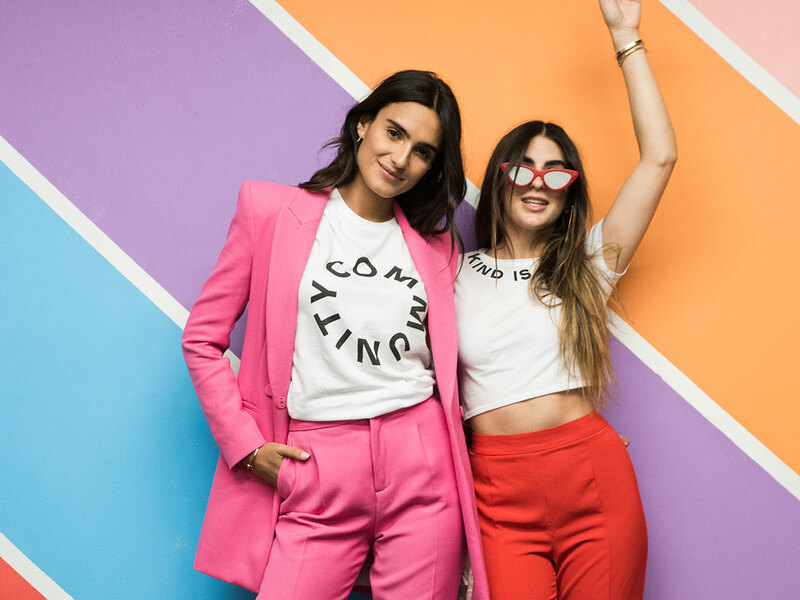 Miami’s most fashionable best friends Isabela Rangel Grutman and Rachael Russell Saiger design a limited-edition capsule collection for Style Saves. Isabela Rangel Grutman and Rachael Russell Saiger. Photos by Michael Romero. Fast-forward to today and Rangel Grutman has joined forces with Russell Saiger for another collab that’s just as Instagramable. The Community Collection is a limited-edition capsule collection consisting of chic tees paired with positive messaging (aka “Kind is Cool”). One hundred percent of the proceeds from the collection will benefit the charity. Here, the stylish duo gives us the deets behind the collection, future collaborations and what’s next for Style Saves. Tell us all about the inspiration for the collaboration. ISABELA RANGEL GRUTMAN: The Community Collection is inspired by the kids we work with.They are the reason we do what we do, and we wanted the shirts to have impactful messaging behind them to illustrate the point. RACHAEL RUSSELL SAIGER: We decided to create the line to continue to raise awareness for our mission and merging fashion with philanthropy. What is the meaning behind the messages on each tee? RRS: They are the values that inspire and motivate us to constantly dedicate our time and effort to serving the community. IRG: We don’t just want to make the world more beautiful, we want to make the world better. How do you style the tees? IRG: The shirts are really simple yet versatile because of the cool design element to them. You can dress them up with nice pants and a pair of heels, or dress it down with shorts or denim and some cool sneakers. RRS: The fabric is really soft and cozy. They really go with everything, that’s the best part! Can we look forward to more collabs like this in the future? IRG: We’re starting to talk about what season 2 of the collection will look like, and perhaps collaborating with other big established brands, as well grow our collection. RRS: We are all really creative and love to design things for ourselves, so it’s a great way to incorporate our passions into something positive for the students. What are some other upcoming initiatives? RRS: Style Saves Swim is our annual flagship fundraiser event during Miami Swim Week. This year it will be on July 13th. The purpose of the show is to raise funds to support our annual Back to School event in August that serves 5,000 students across Florida. This year, we’re really excited to announce that Eberjey will be showing for the first time ever during Swim Week with us. IRG: It’s great to work with new brands [like Eberjey] that girls love and share the same values as us. We are particularly excited about working with them because they are Miami-based, so it’s nice to be able to bring it all back for the community. Style Saves has positively impacted so many lives. How does that make you feel? RRS: It keeps us motivated to always keep going. It’s really one of the most incredibly satisfying feelings. Shop the collection and get involved at stylesaves.org. Stay socially connected @StyleSaves.